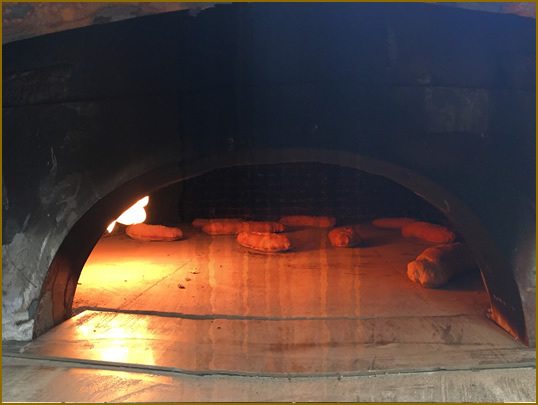 The GRAN FATHER is the bread oven to rediscover the traditional flavors of bread baking in a wood oven. Ideal for small and large productions of bread, following the traditional baking of bread in a continuous cycle of an hour and a half for each cycle (half an hour for the oven heating and one hour for baking, average time). 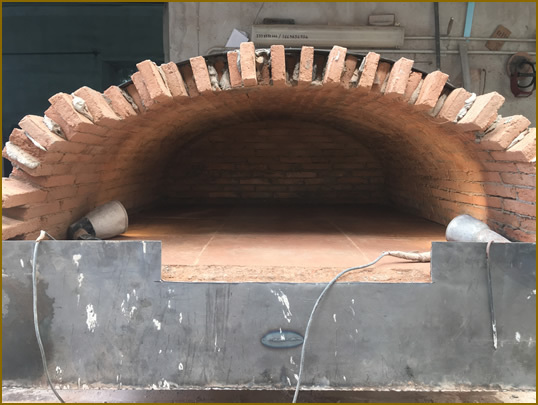 The bread oven GRAN FATHER is built with a tunnel shape like the ancient wood-fired ovens, using the same geometric techniques and with the same clay bricks that were produced in the furnaces dating back to Pompeii in the Roman era. These bricks have the specific capability to absorb the flavors of wood and return them to the bread during the baking process. 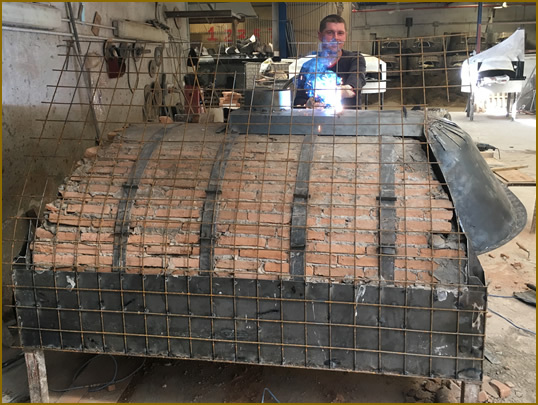 The COMBO system, added to the GRAN FATHER oven, has allowed not only to improve the combustion of the wood, but to shorten the time required to burn the wood (which typically amounts from 3 to 6 kg per cycle) and, by using a small trick (the mobile steel brazier), you can avoid soiling the floor with charcoal/ash and also burn the wood in a controlled manner with little significant emissions into the atmosphere. The gas consumption is very low (for example, an LPG gas tank of 15kg is enough for approximately 10-15 cooking cycles). This oven works fine either from low to high temperatures. 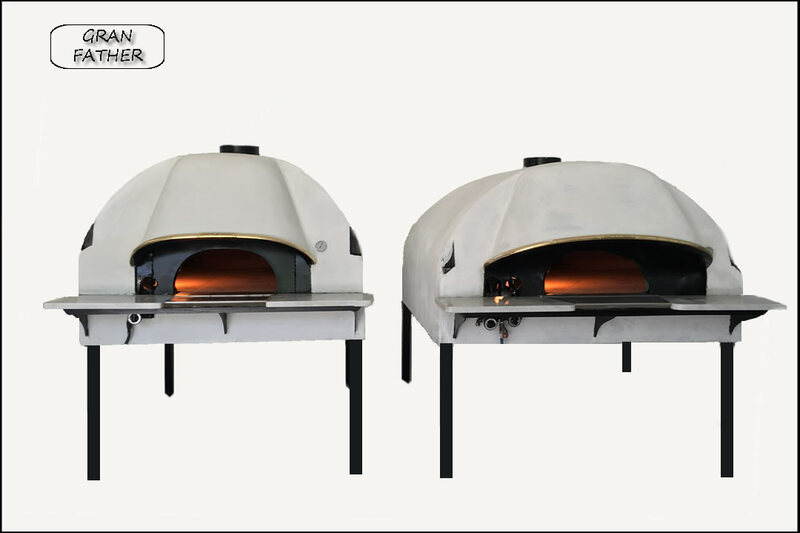 The GRAND FATHER oven can work continuously without interruption and, with more units, a very large scale production can be supported. Available at the factory for cooking demonstrations.